Type VSD15 slot diffusers have adjustable air control elements. 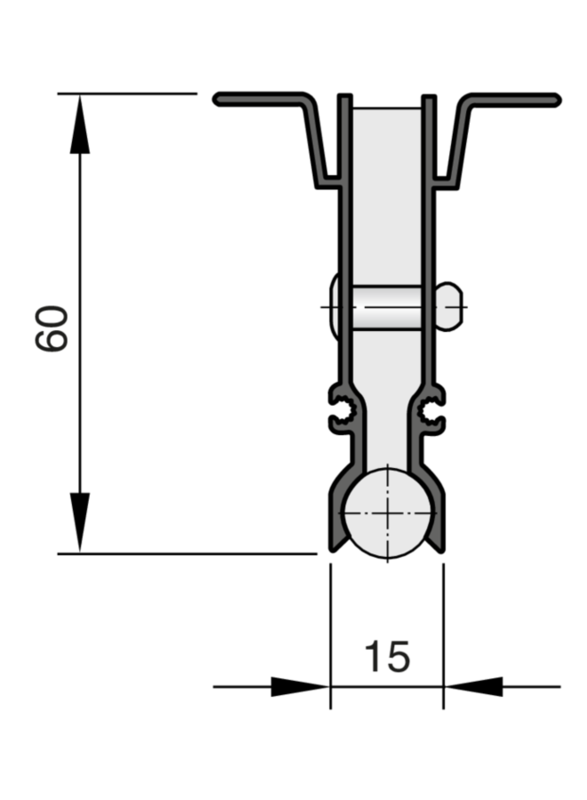 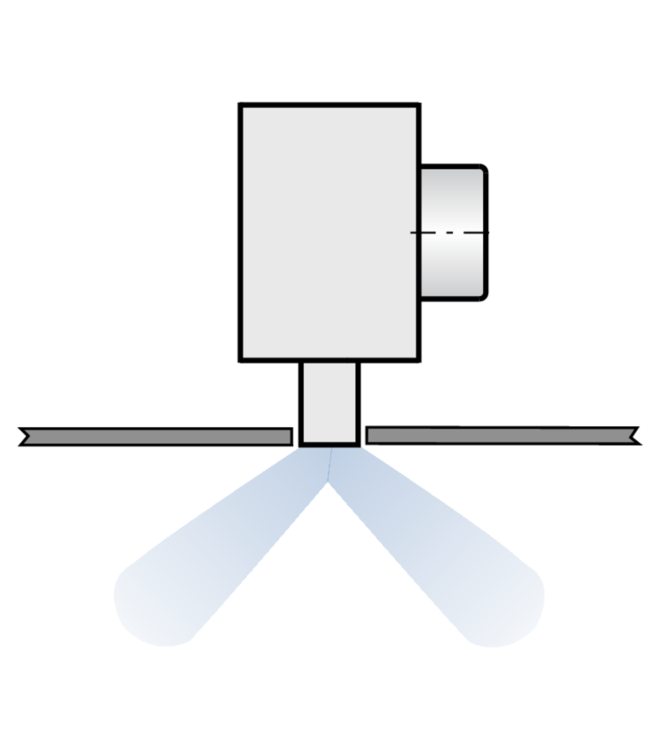 The air pattern can be adjusted to meet different local requirements. 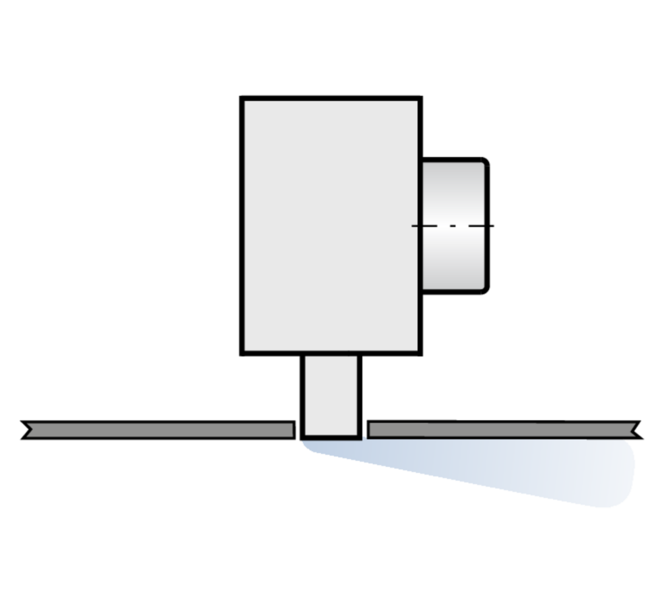 Air discharge is one-way or alternating horizontal. 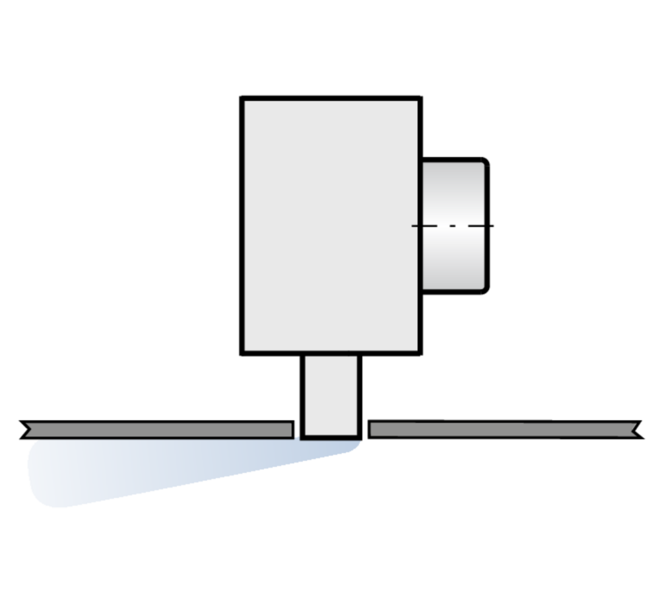 Heating mode with angled air discharge is also possible. 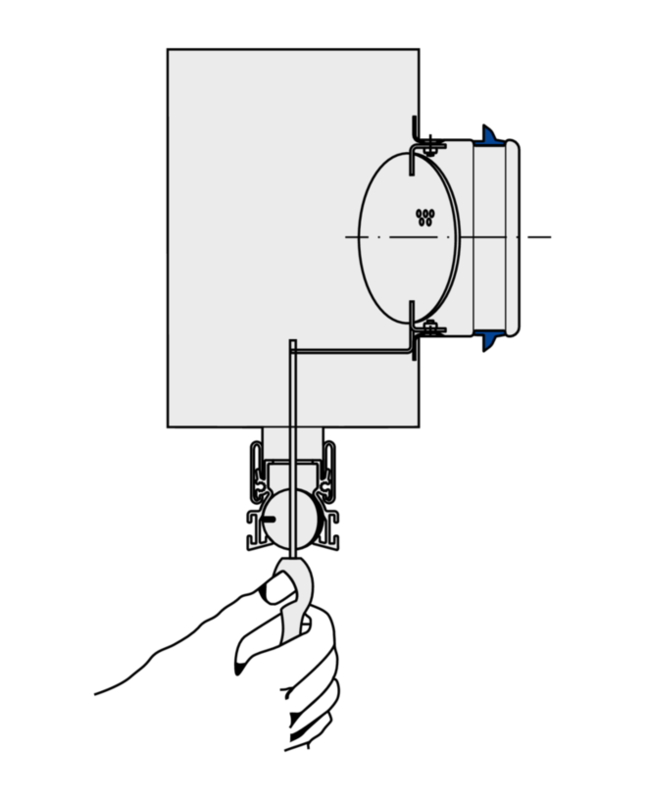 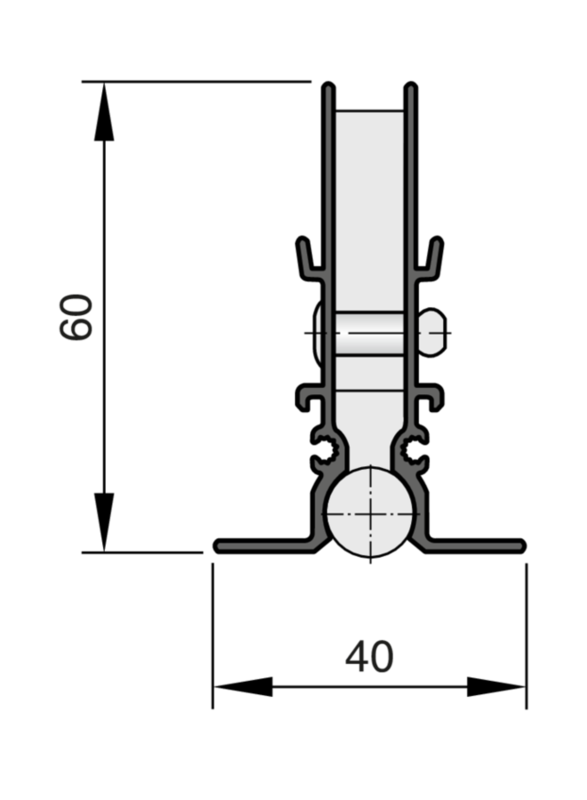 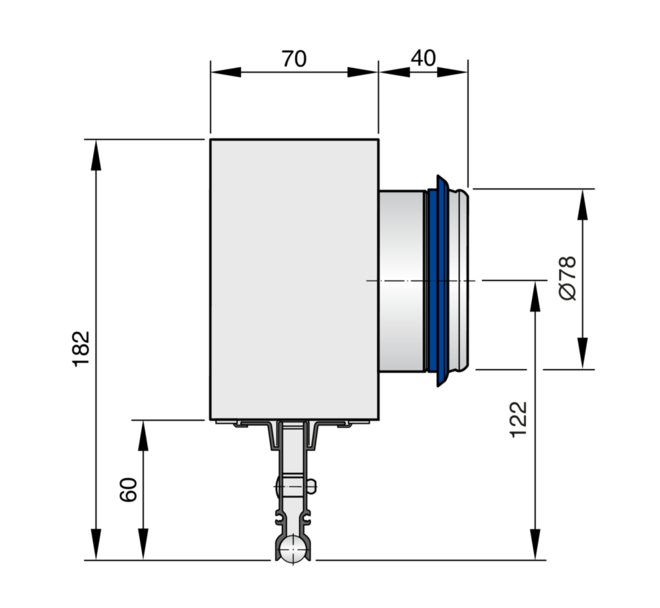 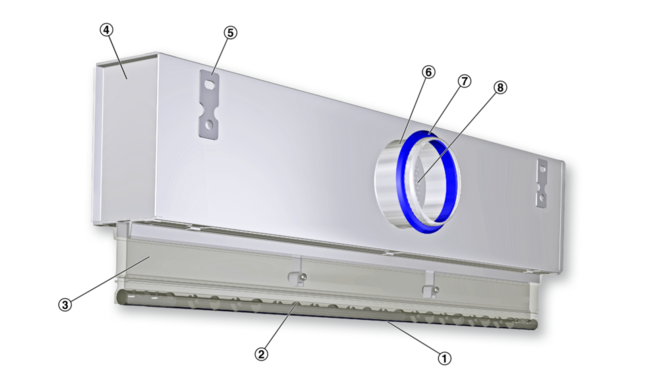 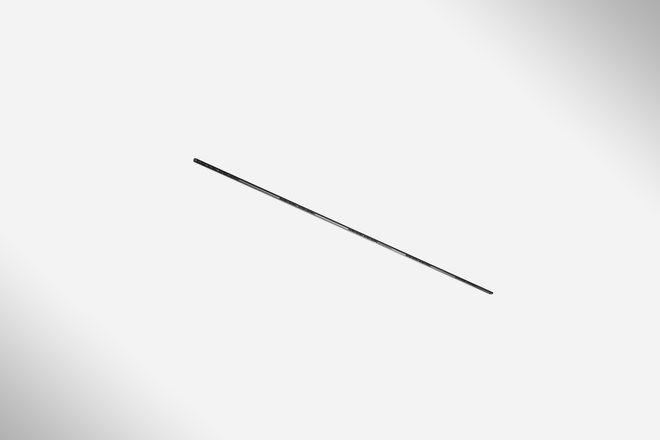 The supply air to room air temperature difference may range from –10 to +10 K.
A damper blade (optional) simplifies volume flow rate balancing for commissioning. 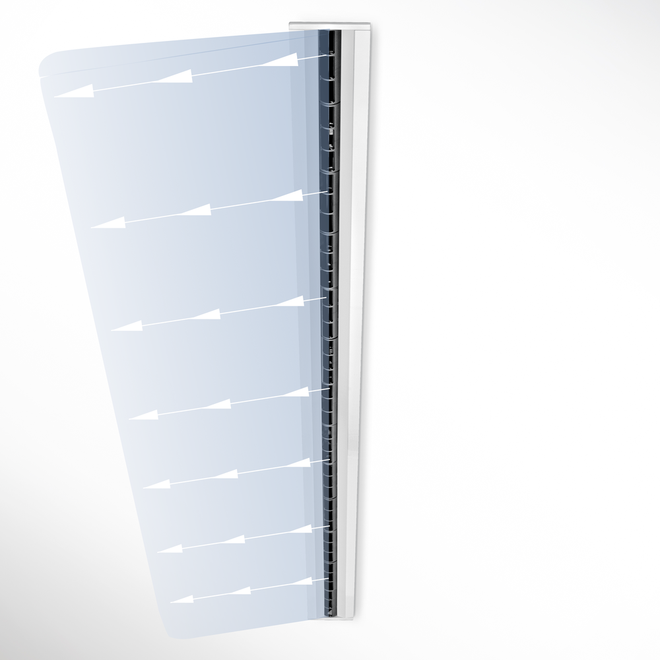 To give rooms an aesthetic, uniform look, Type VSD15 diffusers may also be used for extract air. 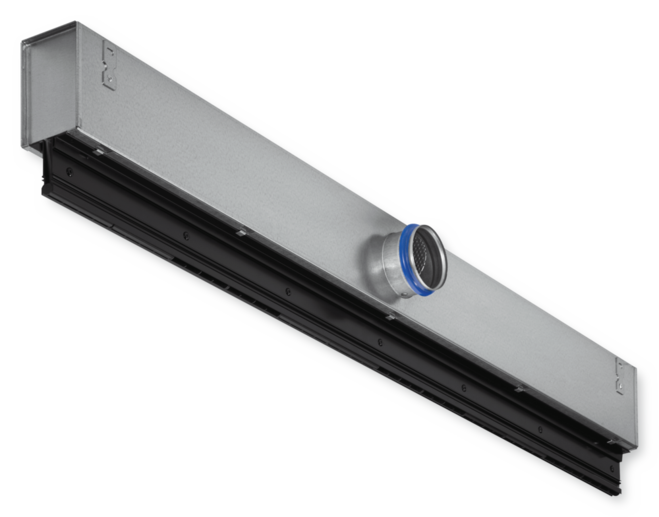 Slot diffusers with individually manually adjustable air control elements and an aesthetically shaped face section with one slot, for one-way horizontal, alternating horizontal or alternating angled air discharge. 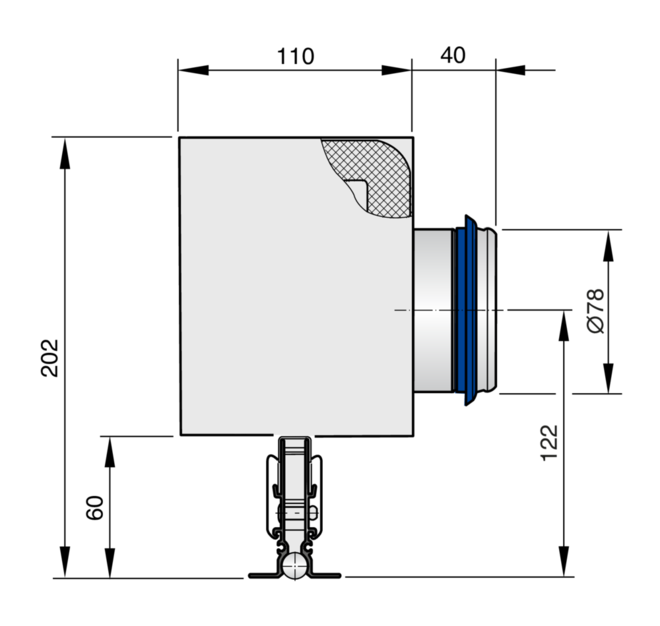 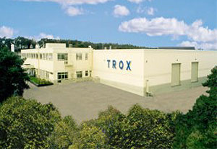 For supply air or extract air. 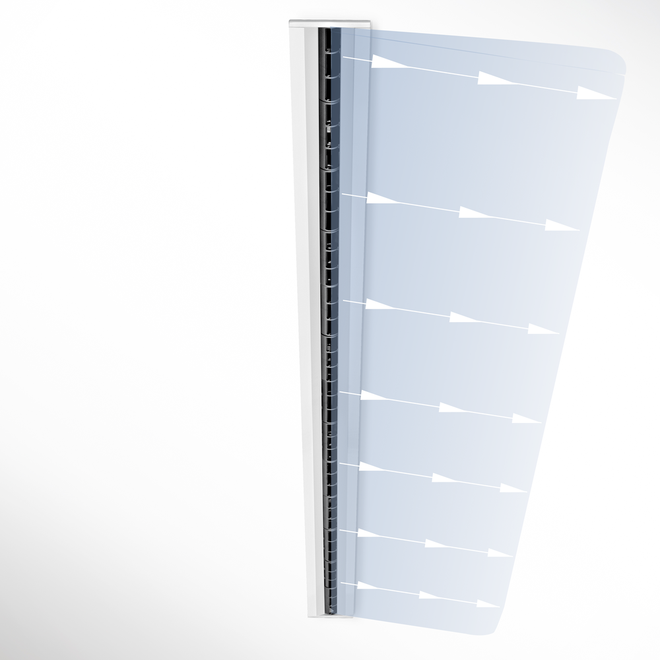 For installation into suspended ceilings, particularly into panelled ceilings with standard 16 mm gaps. 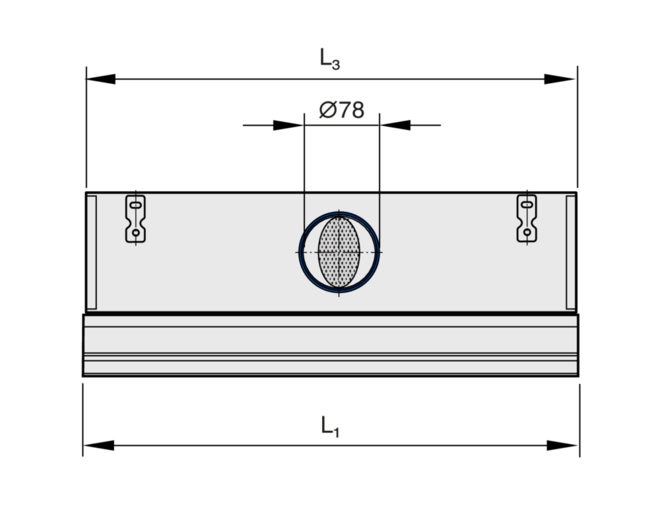 Ready-to-install component which consists of the diffuser face with individually adjustable black or white air control elements, and of a plenum box with side entry spigot and suspension lugs. 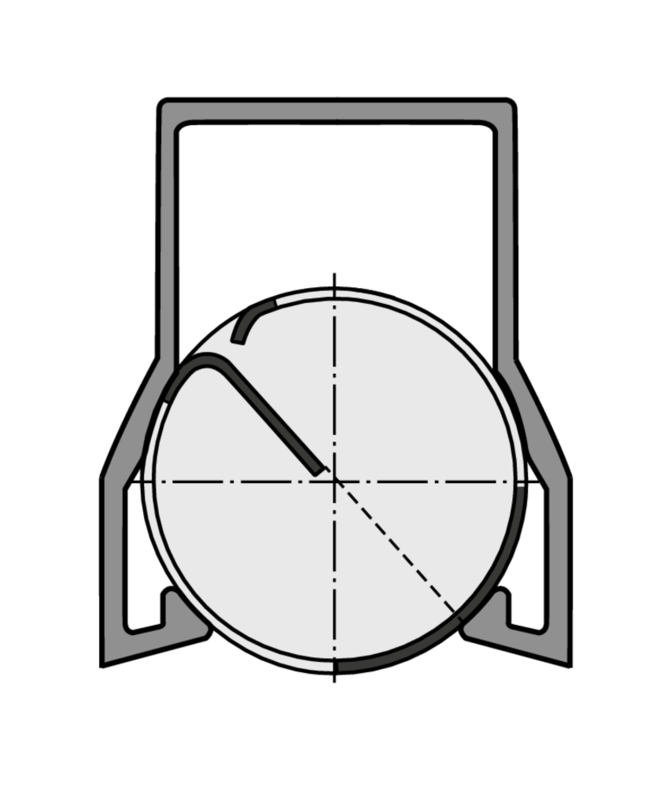 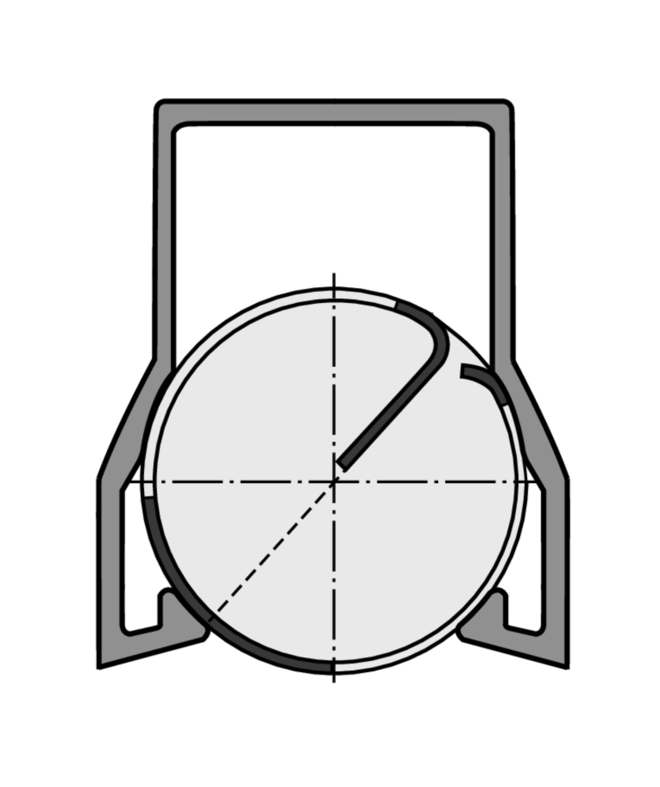 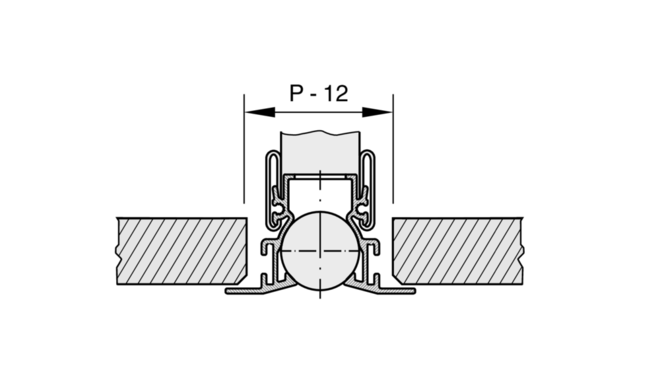 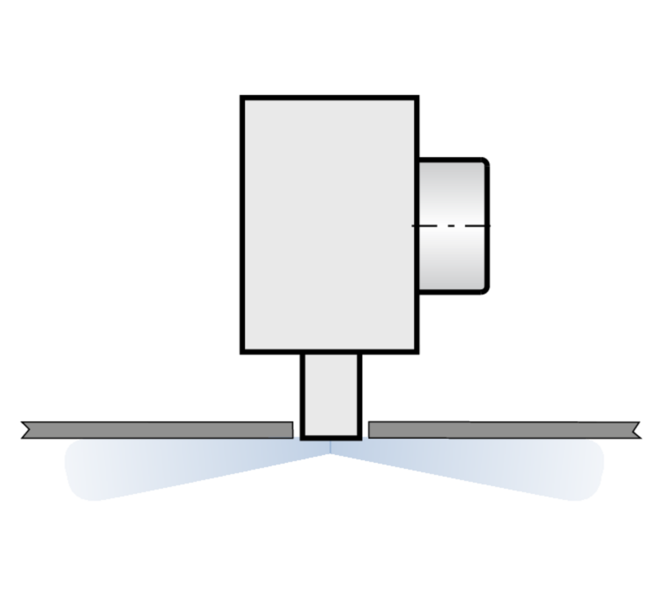 Slot diffusers with plenum box and damper blade (variant -M): The damper blade can be adjusted even after the diffuser face has been installed.